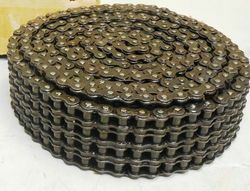 Prominent & Leading Wholesale Trader from Mumbai, we offer leaf chain, attachment chain, conveyor chain, roller transmission chain, large pitch conveyor chain and hollow pin chain. 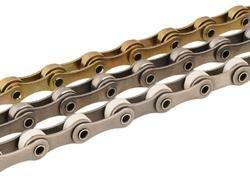 In order to fulfill the growing needs of customers, we are engaged in offering a wide range of Leaf Chain. We offer product to the customers as per the industry standards and known for its effective usage in various application areas. The product of our company is widely used for straddle carriers, forklift trucks and many more uses. Besides these, our product is easy to use and provided at affordable rates. Leveraging the skills of our professionals, we are engaged in offering an extensive range of Attachment Chain. 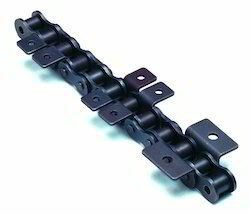 The product of our company is available from ¾” Pitch to 8” Pitch Chains that are available in Outboard roller, Flange roller, Double roller, Extended Pin type duly fitted. We offer product to the patrons with different type of integral and welded attachments (K1, K2, F1, F2, M1, M2, G1, G2, SA1, SA2 etc.) at certain calculated distance as per needs of customers. Moreover, our product is quality approved and source by us from reliable vendors of the market. 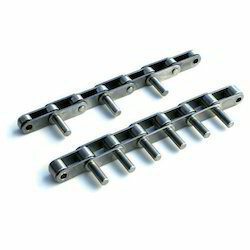 Owing to our vast experience of the industry, we are engaged in offering a large range of Conveyor Chain. We offer this product to the patrons from 1 pitch to 24 pitch in compliance with international standards. Our product is used in industrial, commercial and many more application areas and has long lasting life. Moreover, our product is known for its high strength. 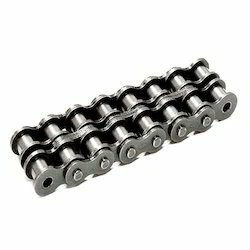 Quality is the hallmark of our company, in order to maintain quality standards we are engaged in offering a wide range of Roller Transmission Chain. 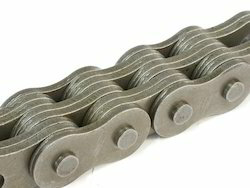 Customers can avail Heavy Duty Roller Transmission Chain or Drive Chains from us as per the ISO 606/DIN 8187/ANSI B29. Our product is available in 1M standard in simplex, duplex, triplex and multiple strand up to 3” pitch. 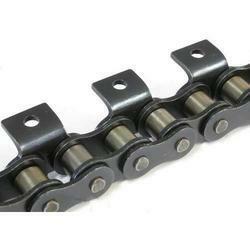 Besides these, we offer Stainless Steel Drive Chains, Nickel and Zinc plated Roller Chains to the customers.